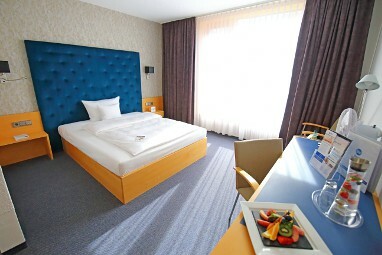 Homepage > Hotels in Lichtenwalde > Best Western Hotel am Schlos. Refreshing overnight stays, successful meetings, experience of authentic regional presence and indulging surrounding nature! 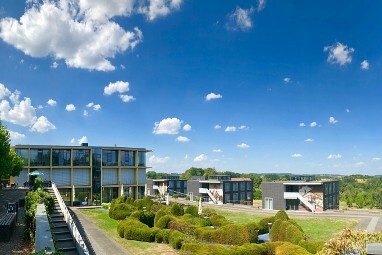 Clear, bright architecture embedded in a scenic location, adjacent to the castle and its one of the kind Baroque park Lichtenwalde – the 4 Star hotel invites you into a unique setting. 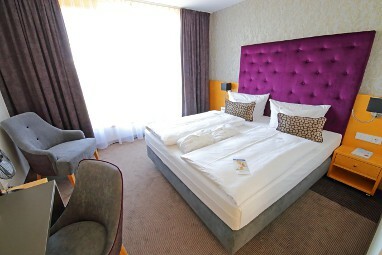 The 84 guest rooms, 42 single and double rooms are bright and comfortable and offer splendid views of the countryside. 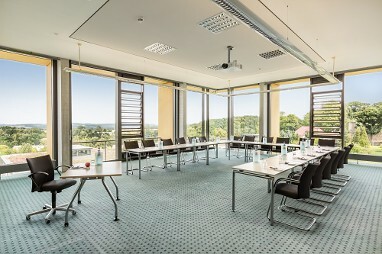 Get to work in one of the 10 spacious meeting rooms. 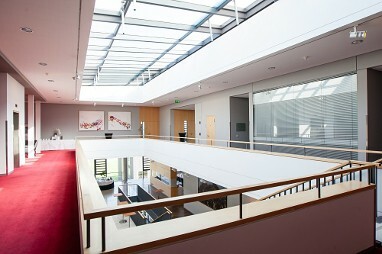 Flooded with light and with open architecture the rooms allow plenty of space for creativity. 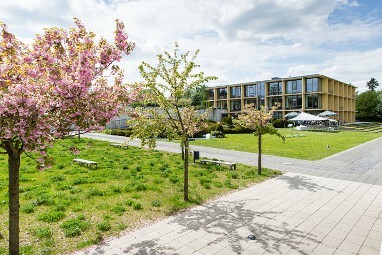 Our garden welcomes you to take a breath during your break of a successful meeting or seminar. 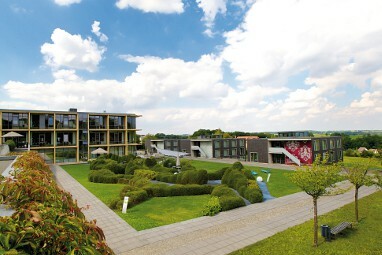 In the main building you will find two restaurants, a hotel bar, a lounge and a comfortable room with a fireplace. 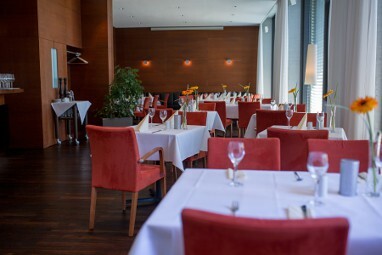 Our restaurant ´´Lichtblick´´ offers a regional cuisine in a relaxed and cozy atmosphere. 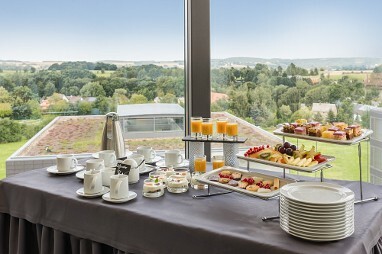 The bright and spacious restaurant ´´Campus´´ invites you in particular for breakfast and celebrations in a larger group. 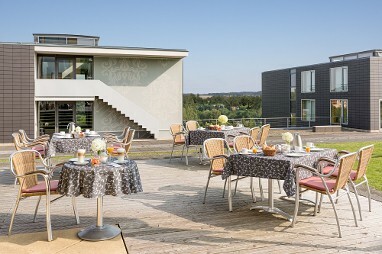 During mild temperatures the spacious terraces of both restaurants invite you as well. If you are looking for active recreation our house and its surroundings hold adequate possibilities in store for you, such as a gym our outdoor activities (mountain biking, hiking, jogging) in a beautiful countryside. In our in-house spa area with sauna and steam room we make sure you can enjoy a relaxing time out. In cooperation with our partner “Erlebniswelten Outdoorevent” we provide numerous supporting programmes for your event. Use one of various activities as an incentive for your employees. The 84 guest rooms, each 42 single and double rooms are bright and comfortable and offer the floor to ceiling windows a beautiful view of the countryside. All rooms have internet access. Good food is important to us! Everything is prepared fresh. 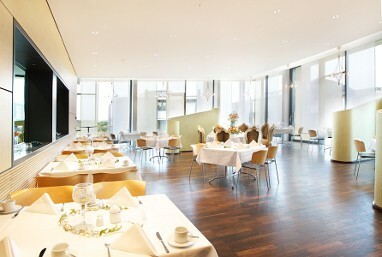 The restaurant 'Lichtblick' will spoil you with fine cuisine in an elegant and informal setting. Daily specials and creative ideas of our chefs create change from everyday life. In our restaurant 'Campus', we offer delicious and varied buffets for every occasion. In the summer we serve delicious food and wine on our terrace in the garden. The end of the day to enjoy the cozy bar or in the comfortable lounge. 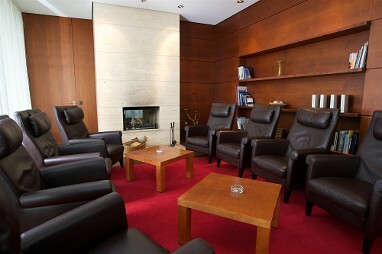 In the reception room can not only smokers enjoy the evening comfortably. 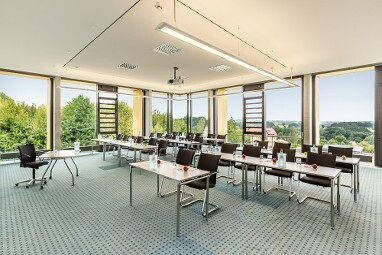 10 light-flooded conference rooms with modern conference facilities can accommodate 130 people. From the A4 towards Erfurt / Dresden you drive to the exit “Chemnitz-Ost“. Then on the B169 direction Chemnitz, about 5km after the junction to Lichtenwalde is coming. In Lichtenwalde, follow the August-Bebel-Straße straight ahead until you reach the castle. On the left side you will find our parking lot. From the A72 coming from Zwickau, Chemnitz, take the cross on the A4 towards Dresden. Exit “Chemnitz-East“. Continue on the B169 direction Chemnitz untel the junction to Lichtenwalde. In Lichtenwalde follow the August-Bebel-Strasse straight ahead to the castle.